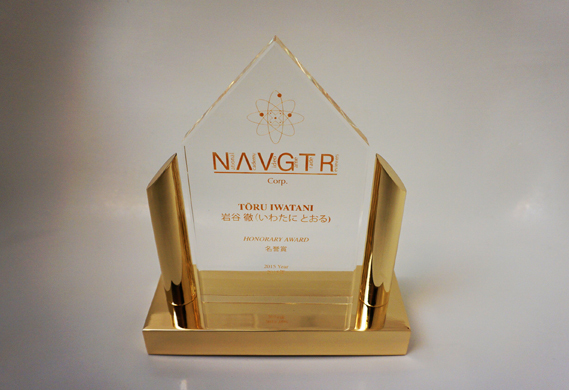 San Francisco, CA (March 20, 2017) / NAVGTR CORP. – The National Academy of Video Game Trade Reviewers, a 501(c)(3) non-profit media organization of 1,195 media voters and 7,789 subscribers, has announced winners for its 16th annual awards program honoring video game art, technology, and production. The biggest winner is Uncharted 4: A Thief’s End with 9 awards. The record is held by The Last of Us with fifteen from three years ago. DOOM was the second biggest winner with 6 awards. Overwatch won four. Firewatch won three, as did The Last Guardian. By developer, Naughty Dog won nine. id Software won six, and Blizzard won four. Campo Santo (Firewatch), SIE Japan Studio, Square Enix, and Ubisoft (Massive, Montreal) studios won three awards each. EA won two awards. By publisher, Sony Interactive Entertainment (SIE) won twelve awards. Bethesda Softworks won seven, and Blizzard Entertainment won four. Winning three were 2K (Games, Sports), Panic (Firewatch), Square Enix, and Ubisoft. Winning two were EA, Microsoft Studios, and Warner Bros. Interactive Entertainment. Fifty-eight of sixty competitive categories were awarded recognizing achievement in animation, art direction, character design, controls, game design, game engineering, musical score, sound effects, writing, and more as seen at http://navgtr.org. Two categories received no nominations. This year’s Honorary Award recipient is Mark Barlet, for expanding accessibility to games through the Able Gamers charity organization. NAVGTR strongly supports the IGDA Developer Credit special interest group (SIG) at http://igda.org/devcredit to improve crediting practices. The general voting body of reviewers, journalists, analysts, and writers includes contributors for Bitmob, CBS Interactive, Destructoid, EGM Now, Game Informer, Game Trailers, GamesIndustry.biz, Gamespot, Gamezone, IGN, Kotaku, Machinima, Mashable, Massively, MSNBC, Polygon, Retroware, The Koalition, Ten Ton Hammer, and Venture Beat. Additional varied outlets include Austin American-Statesman, Break, Chicago Sun-Times, CNN, Futurenet, GamesRadar, Gaming Illustrated, Geek, Los Angeles Times, MMO PRG, Moody’s, NBC, New Gamer Nation, New York Times, Nintendo World Report, The Ottawa Citizen, PC Gamer, San Jose Mercury-News, Terminal Gamer, USA Today, The Vancouver Sun, Wired News, and hundreds more. This entry was posted in 2016, Game of the Year and tagged 2016, navgtr, Overwatch, Uncharted 4. Bookmark the permalink.